Intereresting compilation from the Jamaican Federal Recording Studio in Kingston and from 1966-67. All recordings produced at the Federal Studio. The story and history of the studio is told with various reflection's/interviews from 1954, the studio was at 129 King Street, Kingston where Ken Khouri began manufacturing the first locally pressed records in Jamaica. Most of the tracks are taken from the master tapes and the sound quality is very good. There is a nice booklet/photos (Lynn Taitt on the cover) and notes by Harry Hawkes. Unfortunately, there are no details apart from the track listing about any of the records on the CD. Some will be familiar but others are not. 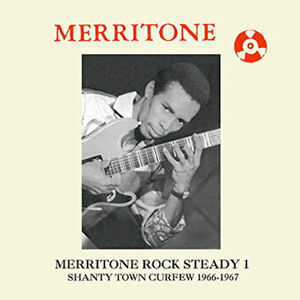 Lets hope for more details in CD 2 Merritone Rock Steady 2: This Music Got Soul 1966-1967 which is to follow soon, October 2016. Issued on Dub Store Records DSR CD 006 Japan.